Tracey comes from a long line of Auburn fans and graduates, so it was an obvious choice for her when it came time to choose a college, and she is proud to have graduated from Auburn in 2010 with a Bachelor of Arts in Liberal Arts & History. Tracey began her career working for the family business with her father, Trey Johnston, at J&M Bookstore in downtown Auburn, right across from Samford Hall. Vivacious and outgoing by nature, Tracey loves interacting with all of the bookstore customers, but it wasn’t long before she realized that she needed more. 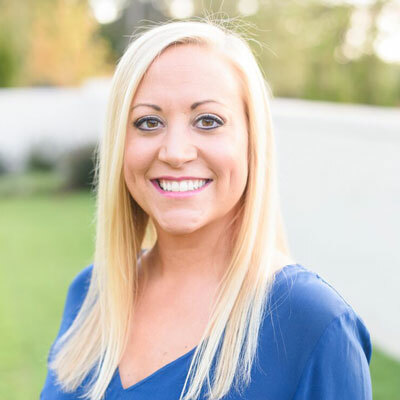 Drawing from her mother’s experience as a real estate agent, Tracey saw the potential for an exciting and fulfilling career and decided to pursue her real estate license. Since obtaining her license in 2015, Tracey has truly enjoyed working in the field. She loves making other people happy and her greatest satisfaction is in seeing her clients smile and say “thank you!” after helping them to buy or sell a home. This multi-faceted powerhouse finds so many ways to pursue her passions, help others and have a positive impact on her local community. Her Personal Training license combines these goals and fulfills her love of working out. Additionally, she is an active member of the Woman’s Club of Auburn and the Auburn Heritage Association. Tracey got the surprise of a lifetime when her love Trey proposed at the Master’s golf tournament! The two were thrilled to celebrate their wedding in April 2016.